Home Blog Learn European Portuguese in no time! If you have stumbled on to this page, it means that you are on the quest of learning a new language and have done quite some digging on European Portuguese. You must have been looking for fast and easy ways on how to learn European Portuguese language. For your relief, it’s an amazing language and easy to learn as well and here we are going to give you some tips on what is the best way to learn European Portuguese. Precisely, the best and the most appropriate way to learning any language or skill is to take baby steps, give each level the right amount of time and then move on to the next step. Here are some of the essential steps you need to follow to know how to learn European Portuguese fast. If you are wondering, what is the best way to learn european Portuguese? We have the answer for you. You learn a language by speaking it, and you can understand the pronunciations and the accent of any language if you listen to it and then speak it yourself. Thus, the easiest way to learn European Portuguese is to speak it. So, we can say that the best way to how to learn European Portuguese language is to learn it from a European Portuguese language tutor. A tutor will not only help you with increasing your European Portuguese vocabulary but also with the accent and fluency. With little practice you will be able to speak it like a native. Rule number one of any language learning course is to try to speak in it from day one so that your brain gets used to the words and remembers them more clearly for next time. This online forum is called Italki. It is the fastest way to learn European Portuguese because it connects you with local Portuguese speakers, who are willing to teach the language one on one through Skype sessions. It’s a great way to either hire a tutor or find a language exchange buddy that way you don’t have pay for the classes, you exchange languages. There are a few online forums that help you learn European Portuguese fast. The best way to learn European Portuguese online through these forums, online tutors or an online language exchange buddy. Using the methods explained below will help you get familiar with the language quickly. If you need to improve your European Portuguese accent, this is one of the most effective tools for the purpose. This particular forum specializes in accent training. It is the fastest way to learn European Portuguese, and it is designed specially to help you sound more local and fluent. Here is another method that is the easiest way to learn European Portuguese. For all those that have a slight grasp on the language, they can use this website to learn European Portuguese fast. It helps sharpen your listening skills so that you can easily comprehend what a native Portuguese would say. The website has clearly spoken audio which is relatively slow so that you can understand better and clearer. It also has subtitles in case you need written text to understand the sentences. The Internet has a solution to almost everything, so if you want to learn European Portuguese quickly, the worldwide web is here at your service. We have combined a list of websites that you will definitely need for your language journey. These websites are the best way to learn European Portuguese online. The reason why you will need to bookmark these websites is that they will help you clear up confusions and be a good helping hand. The first website is Forvo Forvo; this website will teach you the pronunciation of any Portuguese word. All you have to do is type the word in the search box in Portuguese and wait for the audio to pronounce it. So, this website covers the pronunciation part of the language. The second website is called the WR Wordreference, which is a dictionary that tells you the meaning and even the differences among certain synonyms etc. This website is excellent for clearing out any misconceptions between similar words or misconception about a particular meaning. The third website is RTP ZigZag. This website is a kids program aired by the Public Broadcasting Network. The reason why it is starred as a kids program is because it is designed for Portuguese kids and it has some very informative educational videos that are short in length and good explanations of the language you are learning about. Our fourth option is a monolingual dictionary, which is your last resort of finding the meaning of any word in Portuguese. This dictionary has English and Portuguese both so that you can compare and contrast the meanings. Learning a language does not only consist on the spoken part, but it also contains reading and writing as well, therefore to learn European Portuguese thoroughly, you must be familiar with the Portuguese text and be able to read and write it. Here are the top two course books that are great for beginners who want to learn European Portuguese fast. This first one is the Colloquial Portuguese: Beginner’s Course, which is a great way to start off learning the language. It has a natural flow to it and has no grammar issues. So, if you are thinking about learning European Portuguese language, then you should get this book. The second course book on our list is called the Assimil Portuguese, which is a beginner’s textbooks but the special thing about this book is that it has pre-recorded audio. So, if you have difficulty reading the textbook or if you feel it is too dry and makes you lose interest then you should get this book. If you are interested in knowing how to learn European Portuguese fast then log on to our website and begin our beginners’ course. The resources listed will help you get started, and we promise you, you’ll have your first Portuguese conversation in almost seven days. We provide fast results. 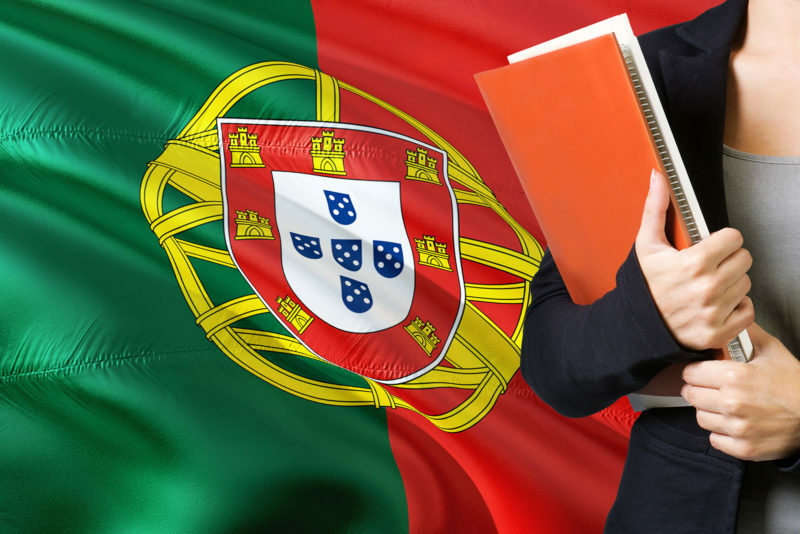 The first option we recommend is Holly’s 3 Month Portuguese Mission, It promises quick results and ensures that you learn the complete language within three months only and that is guaranteed. If you are low on budget and still have a passion for learning then heading on to 16 Free Online Portuguese Classes, which will cover all the basics and gets you to an intermediate level.